People who are supportive. Compassionate. Able to solve problems and collaborate with others. And ready to speak up in the best interest of a child. At ProKids, our Court Appointed Special Advocates (who are known as CASA Volunteers) advocate for abused and neglected children right here in our community. We share the ProKids Vision of a safe, permanent and nurturing home for every child. And we share a mission to mobilize our community to break the vicious cycle of child abuse and neglect by helping our community discover the power of investing in the promise of our children. We recruit, train, and support community volunteers to speak up for children who have been abused and neglected and help guide them into safe environments where they can thrive. ProKids creates alliances within the child protection system to maximize outcomes for our children. Together, we create a new cycle of growing up safe and secure, fundamentally changing the future for our children and our entire community. This video helps explain the critical role a CASA Volunteer plays, and how it’s different from a mentor, a foster parent or a government case worker. What’s it like to be a child in the foster care system? What’s it like to be one of our children? These stories can help you understand the ProKids story. Why is it critical to advocate for these children? Research has shown that abused and neglected children, like those who come into the child protection system, suffer a higher number of Adverse Childhood Experiences or ACEs. These experiences can literally alter a child’s DNA leading to chronic health conditions like asthma and diabetes, mental health issues and even a shorter life expectancy. Learn about the research here. All ProKids volunteers must be at least 21 years of age and able to pass an extensive background check. To get an idea of how CASA University is organized, you can see the calendar here. But you will be scheduling your first few classes with Stephanie after completing the Snapshot. If you attend a Snapshot and CASA University, and decide that advocating for an individual child is not something you want to pursue, you can obtain credit for one of your required community organizations – and we know you will understand more about our children, information that will enrich your future career. If you attend a Snapshot, CASA University, and advocate for a child for one year, you will complete your entire three-semester requirement. For any questions or concerns, contact Stephanie at ProKids. Complete your training through CASA University. 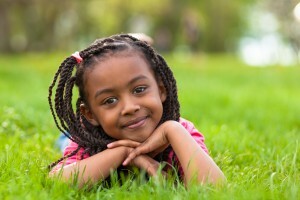 In a flexible format, you will learn more about our children, more about the support you will get from the ProKids Advocacy Team (which includes a CASA Manager who knows the system and an attorney who understands juvenile law), and more about how you fit into a child’s life and can help speak up for them. This takes as little as 7 weeks and includes a background check and an interview. Advocate for a child. You will be assigned a case involving at least one child and will be asked to serve as that child’s CASA Volunteer for at least a year. It will take about 2 to 4 hours of your time each week to do things like make calls, respond to emails, attend court and visit your child.